All students who are preparing for APPSC, lets gather and discuss our queries here. Bro any info on the probable date of releasing of notifications?? Bro, Any idea on books for Andhra history, Andhra Economy (English medium)? Tentative calendar is supposed to be out by October end. But, they delayed. Going by the coaching institutes and paper news, notifications should be out before December. But, it seems highly impossible. All notifications are to be released by December ending. 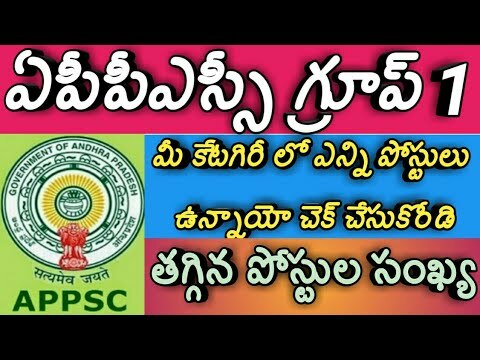 Hey, recently appsc conducted exam for assistant professor in universities in andhra? anyone of you have any idea about that? I appeared in that and expecting interview call but i have no link with any fellow aspirant there. finding it difficult to know the things. दो आरजू में कट गए दो इन्तेजार में..
kindly discuss in this thread! Any luck with that , ekada chusina annie telugu medium books kanipistunayi. any one in hyd and preparing for the exam ? Ah! Mostly telugu lone unnayi.